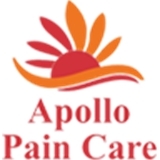 Apollo Pain Care (Miami) - Book Appointment Online! Apollo Pain Care’s Medical Director – Dr. Padmaja Yatham is a fellowship trained Interventional Pain Medicine physician, trained and educated to provide the highest quality of service utilizing state-of-the-art technology at her own Pain Management Clinics located at Sunset(Kendall) and Tamiami, in Miami-Dade County, at Pembroke Pines in Broward County, at Fort Myers in Lee County, Florida. I met the doctor at one of my worst times in regards to pain. I know about pain a lot having done multiple surgeries and suffer from fibromyalgia to cancer. But this time I couldn't control my pain. Dr. Yatham started treating me and after a year I can said that my cervical pain is controled is 75 to 80% better. Now we are going to treat my lumbar problem. I am very lucky to have found Dr. Yatham and her staff.